The ancient city of Baalbek in Lebanon contains temple architecture of both colossal scale and architectural artistry. 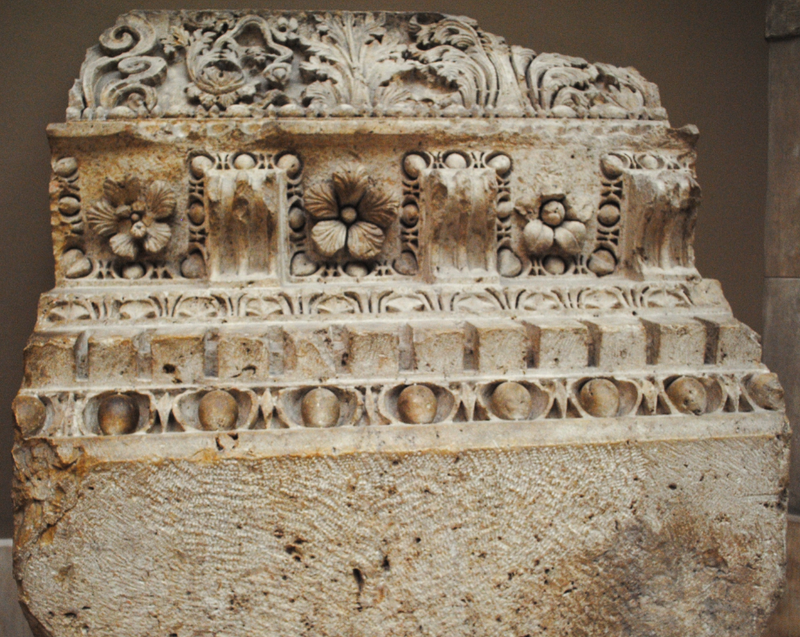 Baalbek was known as Heliopolis during the Hellenistic period. The Imperial Roman empire of the late 1st – 3rd centuries established sanctuaries, built on top of earlier ruins, which attracted thousands of pilgrims. The sanctuary of the Heliopolitan Jupiter was the principle temple at Baalbek from which the above sculpted stonework was excavated. The temple was richly decorated with exquisitely detailed stonework with construction beginning during the reign of Emperor Augustus in the late 1st century BC and completed soon after AD 60 under Nero. 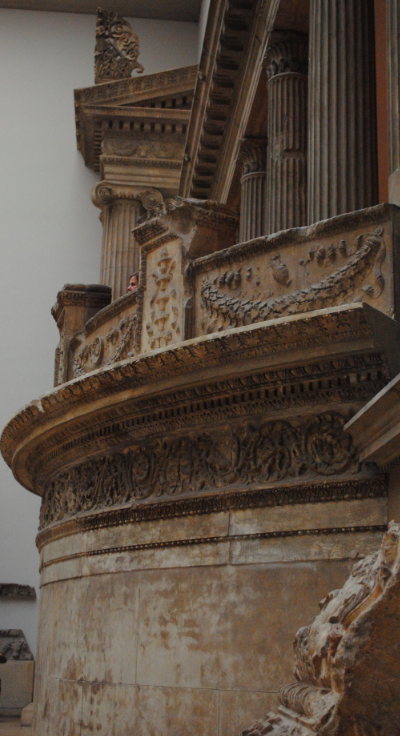 The stonework is on display in the Pergamon Museum in Berlin.